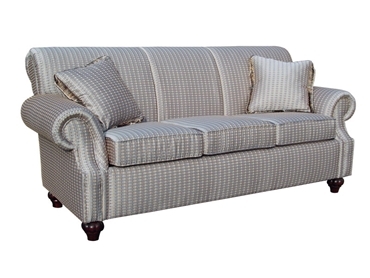 Width 88" - Loveseat: 67" - Chair: 42"
Description The Warren sofa will give your room a glamorous feel. The curved roll arms adds a sophisticated touch with it's matching roll back. Fringe on pillows are not included. Self piping is standard on all pillows.